Tnx for the suggestion. Let’s see what I thought of it…. Brief Synopsis – A wealthy man who has squandered his inheritance must find a rich wife within two weeks or lose everything that he has. My Take on it – This was a pick that I never had even heard of and when reading the premise, was excited to see what the great Walther Matthau could do with such a role. Boy was I surprised at how well he plays this lead character. His chemistry with Elaine May is perfect for us to both love and hate hos character for everything that he does. Both of their characters are taken to the extreme and yet the film still finds a way to endear them to the viewer and makes us care so much about what will happen. The pacing of the story is done really well and we get a clear idea everything that transpires in the lives of these characters as they try to form a stronger connection despite events around them causing external friction that is never quite felt entirely by both of them. This film manages to blend the comedic and dramaitc aspects of the story together quite well and still keeps things feeling quite genuine and realistic by the way things move along. 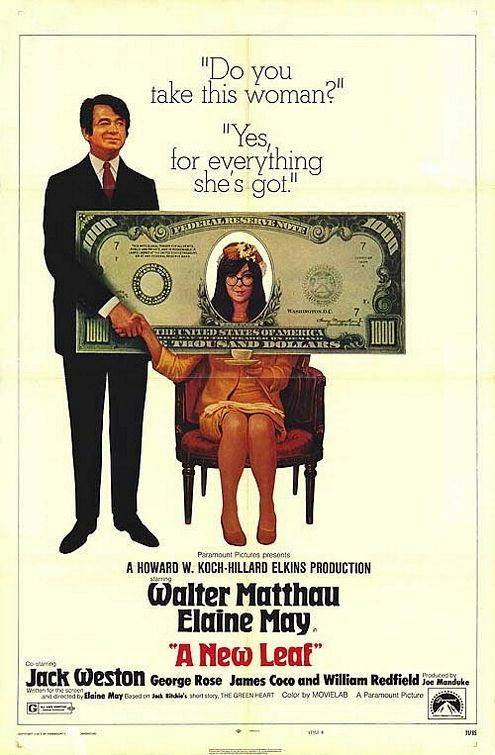 Bottom Line – Great film that works so well largely due to the performances of Matthau and May who play there’s characters so far to the extreme yet still make us care about both of them. The story moves along at a great pace and we get a clear idea of what these characters are going through and how the events of the film work to try and get them to form a stronger connection despite the various attempts to change things around them. The comedy and drama aspects of the film work well and are blended together quite realistically with the way things move along. Recommended!